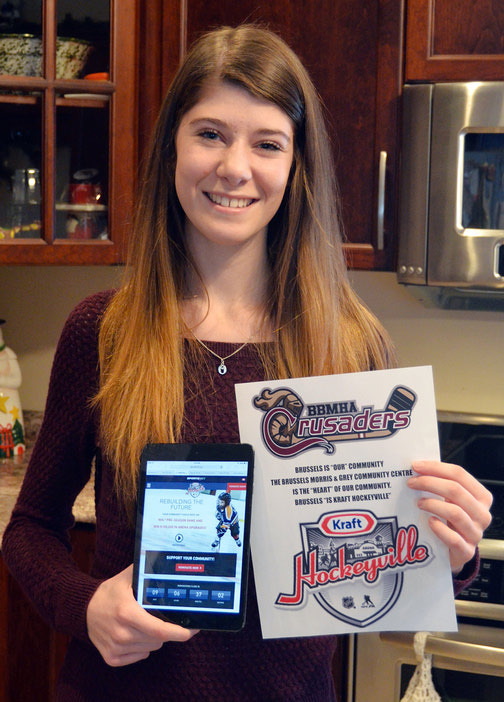 After taking on the project herself in 2016, and her father tackling it on in 2017, Brussels’ Olivia McCarter is once again trying to have Brussels named the annual Kraft Hockeyville competition winner. The annual competition invites people to support their community centres by voting for their local site. The winning community will host a National Hockey League (NHL) preseason game and win $250,000 for renovations to the arena. Last year’s winner was Lucan, a community just south of Huron County. Located in the township of Lucan-Biddulph, the community’s arena, the Lucan Community Memorial Centre, hosted the Toronto Maples Leafs and the Ottawa Senators on Sept. 18 of last year. The Stanley Cup was also in the community on Sept. 17. 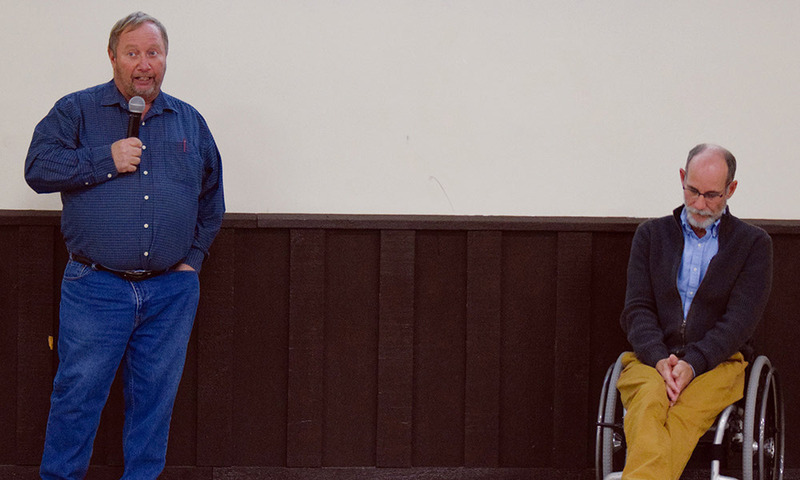 Previously, McArter explained that the funding would help a lot because the Brussels, Morris and Grey Community Centre (BMGCC) needed renovations, which have been highlighted by recent efforts to revitalize the centre. “Brussels definitely needs some renovations,” McArter said in an earlier interview with The Citizen. 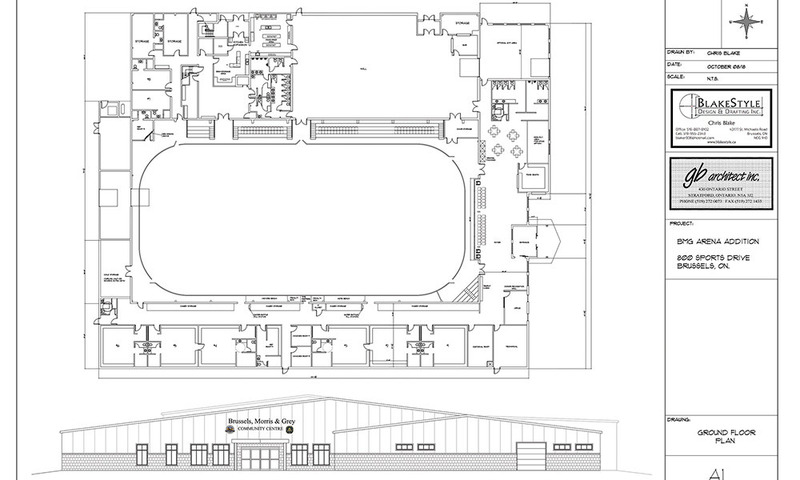 When McArter first started crusading for the competition, the grand prize was $100,000, which seemed like it would help the centre significantly, however, since then, the $4.5 million renovation and expansion plan for the site has been unveiled, showing just how important a win could be in helping with the fundraising for the project. Olivia’s father Doug, who tried to rally the community for the Hockeyville contest in 2017, is now co-chair of the committee behind the renovations while Olivia is on the fundraising committee. During a presentation last year, he said that the three major initiatives for the project include an expanded lobby, dressing room expansion and a renovation to the kitchen. www.krafthockeyville.ca and search for the site, then share a story, photo or post a note. As of press time, the centre had nearly 20 submissions on it behalf. The Hockeyville website says that 80 per cent of the score for the top four finalists is based on the quality of the stories shared, not the quantity or “rally activity” that follows, making for an even playing field for smaller centres. Judging of the submissions will occur between Feb. 11 and March 15 and, on March 16, the top four finalists are announced. Following that, voting will take place, starting on March 29 at noon and running through March 30 at 8:30 p.m.
Runners-up in the competition will receive $25,000 for arena upgrades. For more information, visit www.krafthockeyville.ca.